Sybil Runs Things: Nailed It. 14 miles on the schedule for Saturday morning. I won't lie, it was intimidating. I have done 14 on the road once before, and it went fine (though it was the last long run I did before being sidelined by injury AGAIN). 14 on the trail is a different animal. For instance, on the road that run took me 2:20-something. On the trail it took me 3:30-something. Fortunately I was able to do this entire run with the High Heels Running Group. 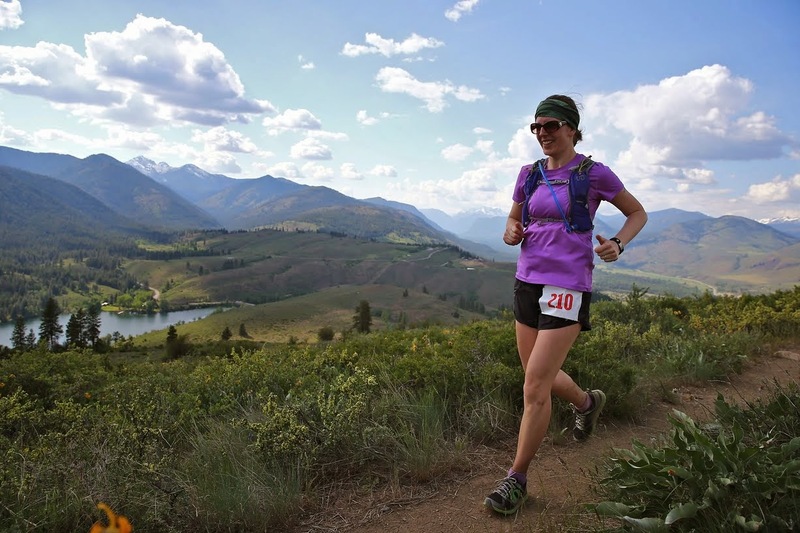 If you are a female runner in the Seattle area, I HIGHLY recommend you check this group out. I am a very, very new member, as I have only run with them three times, with my first time being a couple of years ago. So on Saturday I ran with lots of new women (all of whom were extremely nice) and that not only made the run more fun, but I also had zero concern for getting lost. Whew! The first seven miles were with a large group, the next three were with a smaller group, and the last four were just myself and my new friend Angela. Because of my personality, it was more difficult to chit chat in the group than when I was running with one other person, which was just fine with me. I enjoyed listening in on conversations and hanging out (ha, like I do on the rare occasion I am at a party!). The first seven miles went by quickly. Then we were back at the parking lot where I filled a couple of my empty bottles and grabbed a snack before heading out with the group for the next three miles. Back at the parking lot one more time before Angela and I headed out for our last four. We must had added on a bit of running going back to the parking lot as I ended up with 14.6 total when I anticipated it would be just under 14. One thing I was extremely happy about was that my nutrition was SPOT ON. I tried a few new things to see how it would go and it worked perfectly. Hopefully it wasn't just a fluke! I knew from my last 14 miler that just gels and water or gatorade would be awful. Before we started running I had a gel (typically I do honey stinger chews, but I was fresh out). I filled my belt with three bottles of water and one of gatorade and mostly drank out of one water and the gatorade since I re-filled after seven miles. I ate a gel between the 45 and 55 minute mark and then two fig newtons at just before the 2 hour mark back at my car. Then I ate half a pack of margarita clif bloks after the three mile loop (probably around 45 mins in to that section) and then the rest of the pack around 45 mins or so later. My stomach felt awesome the entire time and I definitely had enough energy. Definitely hope this mixture keeps working for me and I will keep using it up until (and at) the 30K! On the way home from the run I picked up some ice for a back yard ice bath. Since we don't have a bathtub I don't take ice baths very often, but a 3 1/2 hour run called for an ice bath! The girls jumped in with me, which was hilarious. Matt served us all lunch in the ice bath and we watched You Tube videos while numbing our lower halves, so it was pretty fun. 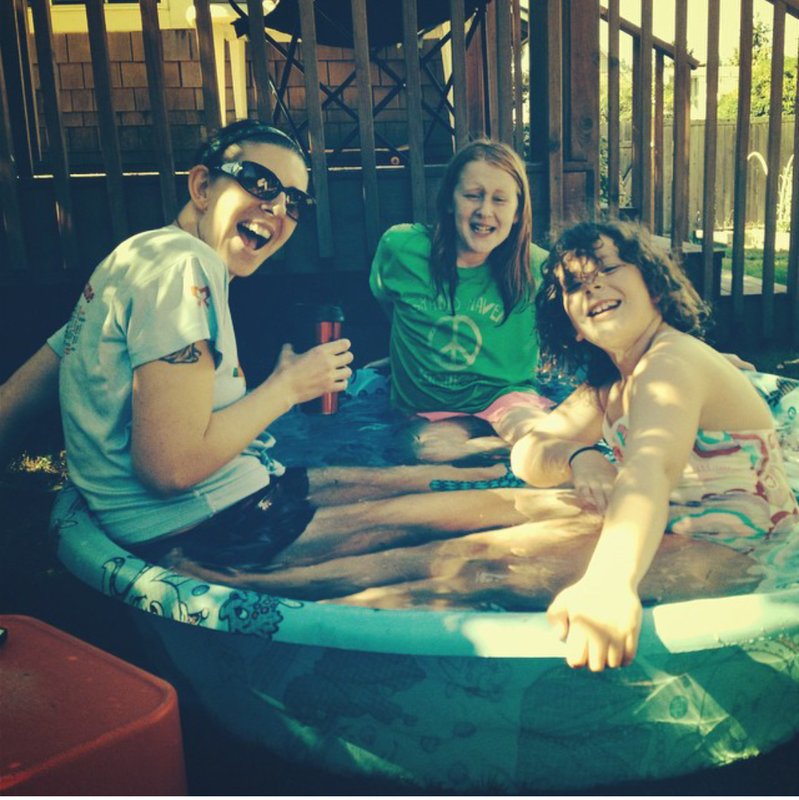 Three girls in an ice bath. I have three more long runs before the race: a 10 miler, 16 miler and a 12 miler. Gulp. Just one mile at a time, though, and I will get there!